Got a call on my home phone from some woman saying she represented some generic sounding agency like civic polling or something like that, wanting to ask me a few questions about the upcoming November elections. First, very courteously, she wanted to know if this was a cell phone and if I was in a place to safely conduct the survey. I was home so no problem. Are you a registered voter? How likely to vote in November? What party registration -- Lib, Repub, Dem, Ind? "I want to read you a list of candidates," she said, "to see if you recognize names. First name was Jonathan Jordan, then came others including Sue Counts [Jordan's Democratic opponent]. Did I have a favorable or unfavorable impression of Jordan? Counts? "If I told you Jordan had voted for the higest education budget in NC's history, with average pay raise for teachers of 7%, would you be more or less likely to vote for him? If I told you he backed Gov. McCrory's tax cuts that average 15% per NC family, would you be more or less likely? If I told you he voted to protect the integrity of our voting process by supporting a Voter ID bill, would you be more or less likely?" "For Sue Counts, if I told you she is a radical liberal who supports the NAACP and Rev. Barber's Moral Monday demonstrations, would you be more or less likely to vote for her? If I told you she backs Obamacare? That she opposes the reforms McCrory has made to our state taxes?" Well, okay then. We all know about the Republican habit of using such "polls," which really aren't polls at all but are intended to plant misinformation in a voter's mind that will impact his voting … in this case, that Sue Counts is a radical liberal and hangs out with black people. --If I told you that Jonathan Jordan had one of the worst constituent services of all the General Assembly members, would you be more or less likely to vote for him? --If I told you that the Jonathan Jordan campaign is currently attacking his opponent with racist, sexist, and unchristian slurs, would you be more or less likely to vote for him? --If I told you that Jonathan Jordan pushed through the tax increase on your electric bill, would you be more or less likely to vote for him? --If I told you that Jonathan Jordan pushed through the unpopular changes to the school calendar for Watauga and Ashe counties, would you be more or less likely to vote for him? --[In Ashe County only] If I told you that Jonathan Jordan refused to stop Boone's water intake project on the New River, would you be more or less likely to vote for him? --If I told you that Jonathan Jordan refuses to hold or attend a single public town hall meeting in his district to hear what the people think, would you be more or less likely to vote for him? --If I told you that Jonathan Jordan is a leader in pushing through the General Assembly's radical Tea Party agenda, would you be more or less likely to vote for him? --If I told you that Jonathan Jordan pushed through allowing natural gas companies to steal gas from under your personal property without your permission, would you be more or less likely to vote for him? --If I told you that Jonathan Jordan had left his wife and children and has a new girlfriend, would you be more or less likely to vote for him? 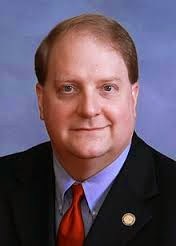 --If I told you that Jonathan Jordan helped pass a huge tax cut for the super-rich, which will leave the state budget unbalanced this year and the schools begging for money, would you be more or less likely to vote for him? Seriously? After all these years, and they still trot out "radical liberal"? Man, are the Republicans dead in the water! Sue Counts is the most genuine person, and people know her. These kinds of smears are not going to work and will backfire on Jordan. Liberals will not tell the truth. Push polls are being conducted all across NC by Democrats. You cannot throw stones because you do live in a glass house. I am so sick of being a Democrat! The kind of slime that keeps being posted on this hate filled blog is enough to turn my stomach! "I am so sick of being a Democrat!" Me too. I'm sick of this "Democrats good; Republicans bad" and "Obama right or wrong" BS. "I am so sick of being a Democrat! The kind of slime that keeps being posted on this hate filled blog is enough to turn my stomach!" Yes, thank you Betty White for the excellent suggestion. I will be sure to do so this week. I think it's pretty clear that Anonymous 1:57's post is BS. Let's not feed the trolls. Democrats who are sick of this "hate filled" blog are really Republican trolls. It is not "slime" to point out how the actions of our legislators affect us as citizens. The GOP legislators in this area are appalling in their disdain for the voters (see ETJ bill, state control over local school calendar, forced tracking, the list goes on). This article and the data sums up who Jordan has been representing and whom Sue Counts will be representing when she takes office with 88 percent of her campaign contributions coming from individuals. It's obvious Jordan is being propped up by the Rep/Tea Party establishment. He is not representing his constituents by any stretch of the imagination. Please VOTE in November, regardless of how difficult they make it. We need to vote these turkeys (Jordan+Soucek+Fox) out — gobble, gobble, gobble. I know, I know... we shouldn't feed the trolls, but sometimes they just make me so angry! LOL. I, too, find it hard to believe that a real Democrat would come onto this blog and post such nonsense. Oh well.